Join us for a wonderful week on Italy’s Amalfi Coast. 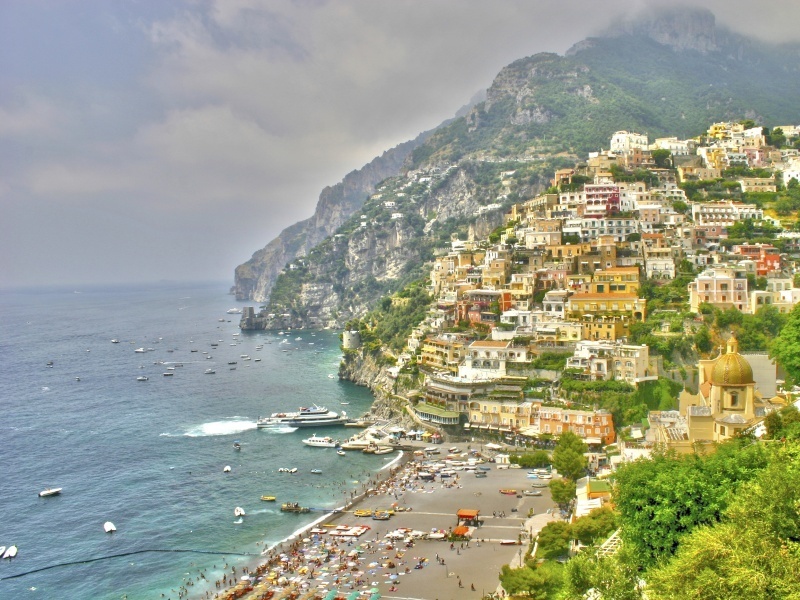 Stay in the pretty beach-side resort of Maiori, wander the cobbled lanes of Amalfi, Positano and Ravello, and follow the coast around the Bay of Naples to Sorrento and the ancient ruins of Pompeii. Fly into Naples or Rome, meet your Tour Manager and transfer by coach to your chosen hotel. Spend your first full day in Italy enjoying the facilities at your hotel, on the beach or exploring the shops and cafes along Maiori’s Corso Reginna and tree-lined promenade. The pretty port of Amalfi, its narrow streets lined with colourful houses and its small, hillside Piazza del Duomo dominated by the monumental staircase and intricate stonework of cathedral, is the first stop on today’s included excursion. We’ll also visit Ravello, high above the Bay of Salerno, where flower-decked alleys, stairways and roofed passages open out onto magnificent views – most famously from the terraced gardens of the Villa Rufolo. This morning we’ll follow the cliffside ribbon of the Amalfi Drive to Sorrento. Hugging the slopes above the blue waters of the Bay of Naples with Vesuvius in the distance, Sorrento is a charming town where daily life revolves around the Piazza Tasso. After the chance to explore, and perhaps enjoy lunch, we’ll head further around the bay to Pompeii. See the ruined remnants of the magnificent Roman villas, temples and frescoed houses buried by the eruption of Vesuvius in A.D.79 and forgotten for hundreds of years. The idyllic island of Capri is the destination on today’s optional excursion. Cross the waters where the Tyrrhenian Sea meets the Gulf of Naples to enjoy the views from Villa San Michele in Anacapri, perhaps ride the chair-lift to the summit of Solare, or head to Capri town to wander the Augustus Gardens and browse the many exclusive designer stores. Today has been left free for you to spend as you wish. Relax in the hotel, explore Maiori or head to the beach. The choice is yours. On our final included excursion, we’ll sail along the coast from Maiori to Positano – a colourful maze of stairways, tiny squares and Moorish-style houses that climbs the cliff above its gently curved beach. Say goodbye to your hotel and the lovely Amalfi coast, as our coach arrives to carry you back to the airport to catch your flight home.